Zambia, 1997, is the where Red Deporte was originated. It was just there that we introduced the community project of self-construction of facilities, which encouraged us to start next projects. The City of Hope had just opened a community school for 550 children from the most deprived districts in Lusaka, the country’s capital. At that school, during the break, boys and girls waited reluctantly for the bell to ring and call them back to class. Behind the provisional round shaped classrooms, there was an extensive empty area that would ideally suit for sports facilities. We proposed to the school board to make use of this land, clear it and install some sports facilities. It was entirely convenient for their purpose because the children would get a sports ground for recreation and fun. The school board gave us their approval, and this is how we began to work. At that time, the City of Hope hosted 15 girls whose parents had died of the AIDS during its Africa outbreak in the early 1990s. Using hoes and machetes, we transformed the terrain with the help of these girls. It was necessary to cut the grass, fill in the holes and mark out the lines for the football, basketball and volleyball fields. Mr Kakuwa, the master builder from the City of Hope, helped us to fix the goals and baskets to their position with cement. By this simple, cheap and funny way, we transformed the empty unutilised land to the playground. Two years later, Red Deporte was founded. Since then, we have organised projects for human and social development through sport in more than 20 countries. In Zambia, dozens of volunteers, aid workers, and local staff have participated in the development of a program that serves 2,500 children from slum areas in the capital city Lusaka. 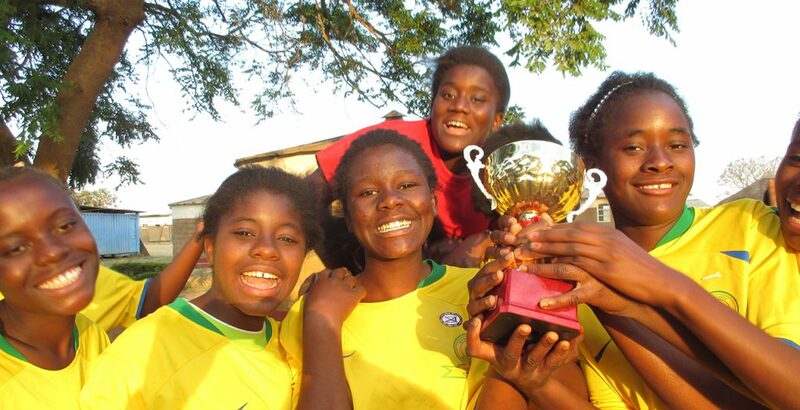 In our primary site, the City of Hope, we work with our implementation partners on a project focused on using sport for the prevention of HIV/AIDS, developing life skills and the empowerment of young women. We constructed different types of sports facilities, organised championships, races, Olympic games or the Lusaka Race against HIV; we also carried out training of leadership and monitoring. We use for work different sports such as football, basketball, cricket, badminton, netball, and athletics. It is very joyful and symbolic date for our organisation. We celebrate it together with all those who are part of our history, Red Deporte friends, colleagues, partners, volunteers, press, aid workers, coaches, trainers, and most importantly, the children and youth who are the participants of our community-based intervention programs. In Red Deporte we appreciate the support and proximity of so many people that makes us feel proud of the work we do and motivate us to grow and improve day by day. Likewise, after twenty years from our very beginning in Zambia, we highly appreciate the commitment of people of this country.